The next time story hour rolls around, you can give a mouse a cookie or you can awaken pre-readers (and yourself) to some key figures in women's history. 26 of them, to be precise. It’s no accident that that number corresponds to the exact number of letters in the alphabet. 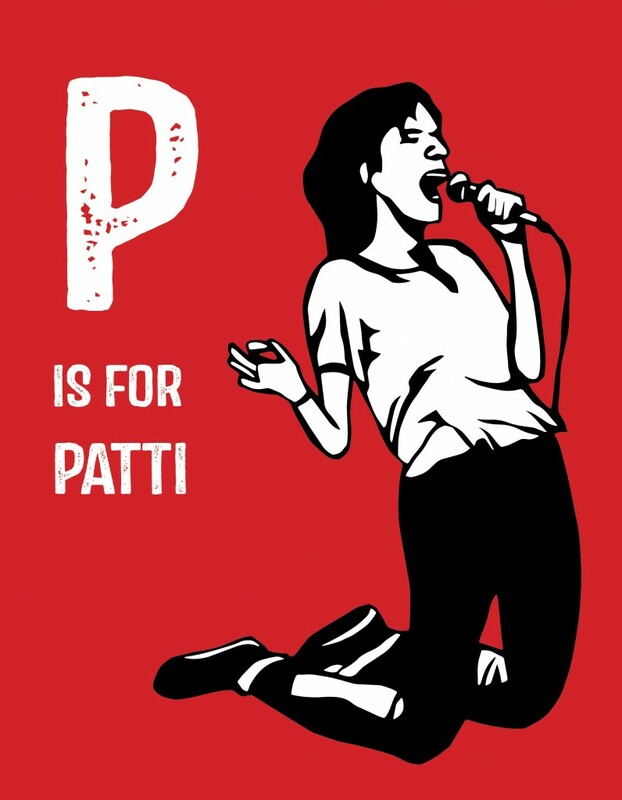 Hopefully Gloria Steinem was not too upset to learn that G is for the Grimke sisters. Actually, I suspect that the second wave’s most recognizable superstar would be pleased if readers are moved to educate themselves as to some of the book's more obscure references. B is for Billie Jean King who whooped male chauvinist pig Bobby Riggs on the court in 1973’s Battle of the Sexes. I remember her! A Billie and Bobby-themed pumpkin took top honors in my school’s Halloween carving contest that year. It's funny how when a woman does something they always think we only affect half of the population, and people will come up to me and say thanks for what you did for women's tennis all the time, and I know they'd never say that to a guy. E is for civil rights activist Ella Baker, a secretary who rose through the ranks of the NAACP to become director of branches. She recognized the press often overlooked her role, as did history. 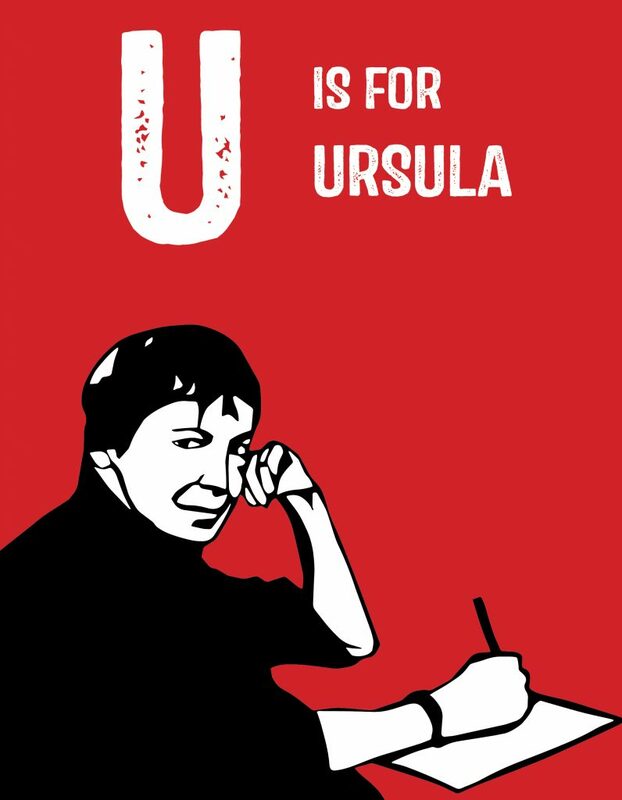 J is for Jovita Idar, educator and cofounder of the Mexican Feminist League. Mexican children in Texas need an education…. There is no other means to do it but ourselves, so that we are not devalued and humiliated by the strangers who surround us. 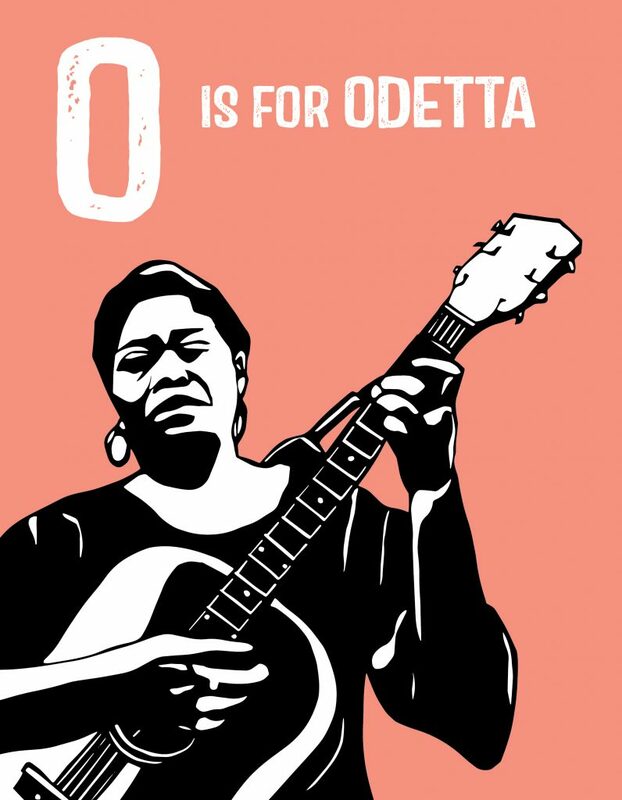 Godmother of Punk Patti Smith, author Ursula K. La Guin, and Odetta, legendary blues singer and "Voice of the Civil Rights Movement," are among the marquee names to be canonized. See their illustrations above. To get all 26 illustrations in a downloadable format, click here. To order your own copy of the book, go here.